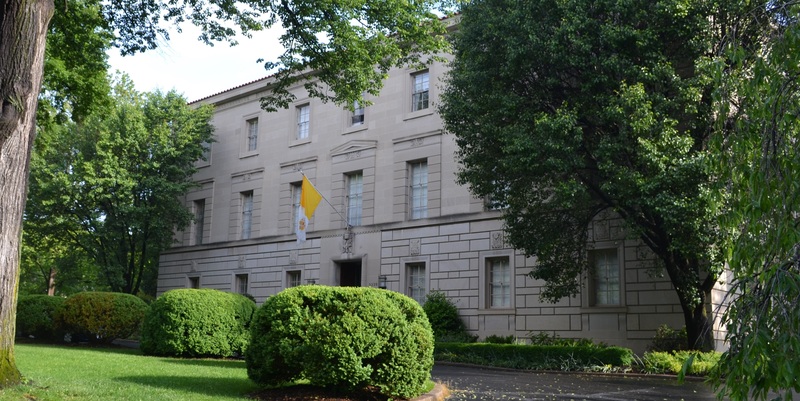 The Apostolic Nunciature in the United States of America is the diplomatic mission of the Holy See to the USA. 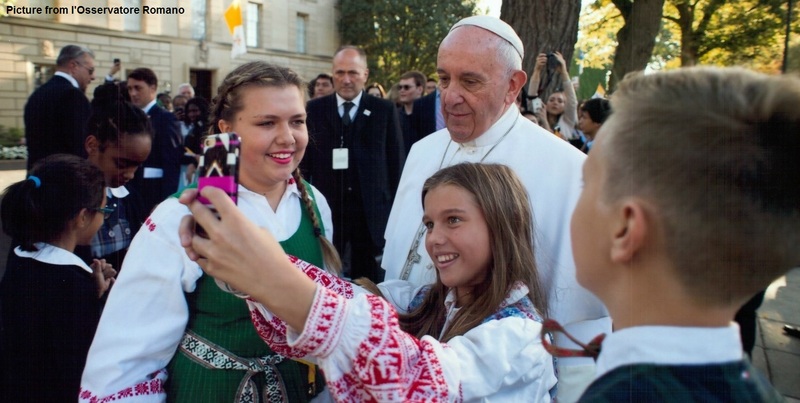 The Holy See has the longest tradition of diplomatic initiatives of any sovereign entity in the world today. Since the time of Constantine in the fourth century, the Pope, as the Bishop of Rome, exercises unique spiritual and temporal authority and has sent and received delegates to and from other leaders in attempts to clarify Church teaching and stabilize international peace and other issues. 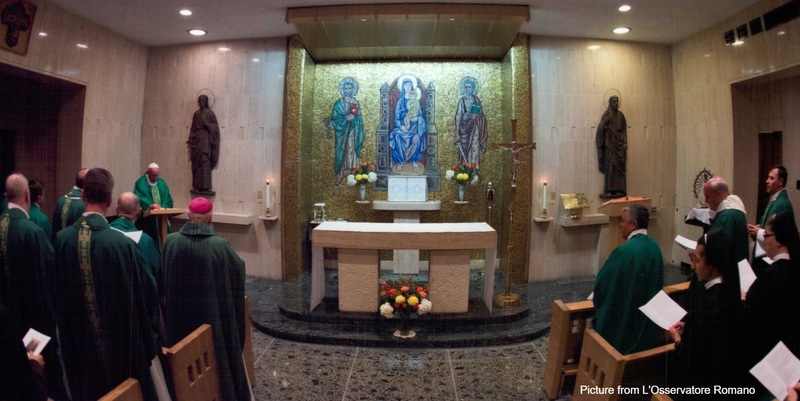 As a “Vicar” of Christ, he appoints a Nuncio (Ambassador of the Holy See). 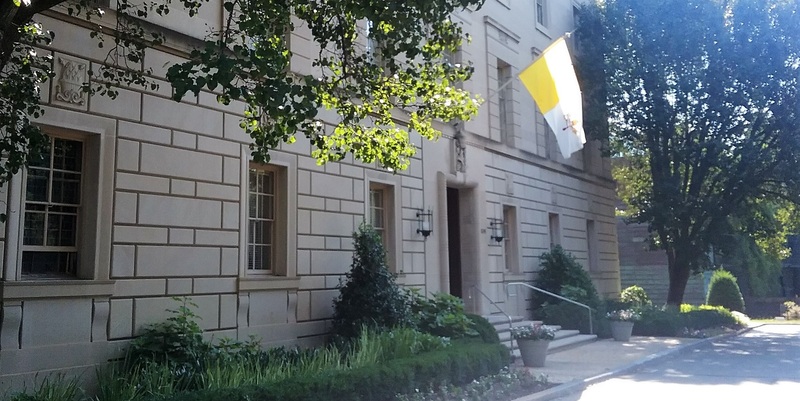 The office where the Apostolic Nuncio excercises his diplomatic mission called Apostolic Nunciature especially when a story concerns Vatican dealings with the church in a country, rather than diplomatic dealings with the country itself (Embassy of the Holy See). It was established As Apostolic Delegation on January 24, 1893 and established as Apostolic Nunciature on January 10, 1984. What is the Holy See? The Holy See is the office of the successor of Saint Peter, the pope, comprehending all the dicasteries through which he exercices his pastoral government of the Catholic Church. The Holy See is recognized as an International Juridical person. Vatican City, a state created to ensure and guarantee the absolute freedom, independence, and sovereignty of the Holy See, also possesses full sovereignty within the international community. Vatican City is located within Rome. To enter the Vatican, no passport or visa is required, nor are any custom tariffs imposed. Obviously, since Vatican City is in Rome, travel requirements of the Italian Government must be respected to enter Italy/Rome initially. To determine these, you should consult the Italian Embassy in Washington (3000 Whitehaven Street, NW, Washington, DC 20008, phone 202-612-4400), or an Italian consulate in your area. A blessing on parchment can be requested directly from the Vatican. The link below: www.elemosineria.va will provide the information. Please be informed that the time required for receiving the parchment is approximately one month from the date when the request is received. Please see the attached web page to see whether the Papal audience will available and you may contact the office for US visitors to the Vatican for your request. The request should indicate the number of people and the exact date as well as the address and/or fax number of the applicant. A brief introduction of the group and, if possible, a letter of recommendation from their pastor or another Church authority is suggested. Tickets are issued only the afternoon of the day before the audience. They can be collected at the above-mentioned office on Tuesday from 3:00 p.m. to 7:00 p.m. or on Wednesday morning at 8:00 a.m.